With Christmas quickly approaching (last time I checked it was September, how is it already late November?! ), I’m starting to think about Christmas presents. I’m pretty useless at gifts – I can never think of anything I want myself, and I’m not great at thinking of presents for other people either. If you’re as rubbish as I am, hopefully this giveaway will inspire you – this gorgeous Cuisinepro knife block worth £750 (!!) would make an incredible Christmas gift for a loved one (…it had better be someone you really, really love…) – or, just keep it for yourself to make your Christmas dinner that much easier to prepare! ‘The Egg’ knife block is exclusively available to buy from homewares retailer House. If you’re in the UK and you’d like to win this amazing prize, just keep reading for details of how to enter – but first, I’d better tell you a bit about the Egg! This knife block really earns its £750 price tag. It’s beautifully presented in a velvet bag (just the sort of finishing touch that would make it a lovely gift! ), and the stylish stainless steel ‘egg’ surrounding the block means it’s a real stunner. It’s definitely a statement piece – the sort of thing that can proudly sit on your kitchen worktop and be a real talking point! The top of the knife block has a pop-up handle so you don’t need to get any fingerprints on the sleek Egg itself (my first concern with anything made from stainless steel!) – just lift it up to reveal the beautiful set of 6 knives inside, set in a chunky wooden block. The knives themselves are lovely, hand crafted from Japanese steel. The Egg comes with a set of 6 knives – a paring knife, a utility knife, two Santoku knives, a chef knife and a bread knife. They’re extremely well made, with razor sharp blades and moulded handles (so no nooks and crannies to get mucky!). They fit beautifully in your hand, and have a reassuring weight about them – really nice to use. They even come with a lifetime guarantee! You can read plenty more about the Egg knife block on the House website, and can buy your own block there – or if you’d like to save £750, enter below to win your own! UK only please. I would cook spinachieve and ricotta canaloni for my wife as last time I tried for her I forgot to cut the garlic. Nice hearty casserole with lots of chopped up onions, carrots, swede and potatoes. A classic stew with plenty of herbs dumplings! The perfect winter warmer! Thai food, I recently went on a Thai cooking course and my knives can’t get the food chopped up as fine as it needs to be. Thinking about it, I would probably make spring rolls first. I would prepare a nice brasato for Christmas dinner! A good old Irish stew! Cajun spiced sweet potato wedges. I need a decent knife to cut through the things! I’d make my partner a steak dinner. I’d cook a roast pork for Christmas dinner! I would make a feast fit for a King or Queen! For starter I would make an Asparagus and Haloumi salad, served with freshly baked thick sliced bread. The main would be a mash topped beef and Guinness Pie, and for dessert, freshly chopped strawberries, grilled in Pimms! Delicious! I’d cook up a nice veggie curry! I’d make a bolognese. My bolognese has bacon, carrots, celery, onions and mushrooms that are all cut into pieces as small as possible. These knives would make easy work of that. I’d keep these especially for Christmas day. A roast dinner – always so much chopping to do! A big family vegetable Lasagne! I’m more of a baker and I’ve been making lots of fruit pies at the moment with autumn apples so these knives would be ideal for dealing with them! Thank you. Chicken risotto with peppers. Plenty of chopping! I’d cook beef stew with winter vegetables in rich gravy. New sharp knives would be wonderful & slice through everything effortlessly – my existing knives are very old – from my mum. I would make a teriyaki tofu donburi! I would make butternut squash and red pepper soup, butternut is the hardest thing to chop in my kitchen perfect for these colder lunch hours when the sandwich doesn’t really make your chops smack. I would make a tonne of soup, would love chopping with these! Got to be a Sunday roast and all the trimmings! Love the style. I would make a vegetable casserole, perfect for the colder nights. I would cook vegetable lasagne – the courgette would be defenseless! A vegan lasagne with a side salad. The knives look amazing, high quality for life stuff right there, and a match for the kitchen. These would be perfect for prepping my upcoming family Christmas dinner. Fantastic prize. I’d make a chicken stir-fry, lots of different knives needed for those veg! I would start cooking some Vegan meals! They would be perfect for chopping veg, my knifes are a bit rubbish so it always puts me off at the minute. some fantastically healthy salad that would involve a lot of chopping! I’d be making Christmas dinner with these stunning knives and regularly chopping vegetables. I’d cook a beef stew. At this point, I’d hang onto them and let them make their debut for Christmas dinner. I’d love some new knives I need something flash to ween my off my old favorite knife with no tip. Gotta be a stir fry, with everything finely chopped. My good knives are all hand me downs from my parents, they’re good but there’s a lot less metal on them than there used to be!! Just to try out all the knives I’d make my middle eastern stuffed peppers – half green and half red peppers stuffed with couscous and giant couscous with chopped dates and apricots, diced courgette, fresh tomatoes and onion, loads of fresh mint, parsley and coriander, topped with mozzarella, cheddar and gran padano, all baked in a lightly spiced tomato sauce and served with crusty bread… and now I’m hungry! Has to be a stir fry! Lots of chopping. I would make a Chilli Con Carne, which is my favourite thing in the world to cook. I would start gently with cheese on toast! I think would crack them open for the cooking of Christmas dinner! What a great start that would be for them. Asian vegetable stew – it’s delicious but takes a lot of chopping. I’d make hot dogs – to be able to finely slice the onions and cut my freshly based bread. Yummy! I would love to try veggie burrito bowl recipes on here. They sound delicious and would give the knives a good test out! Which look amazing. Looks absolutely stunning, would finish off my kitchen. These knives would make easy work of preparing a roast dinner. Veggie Lasagne packed with loads of veg. A nice stir fry with lots of veg to cut up! I would give them to my partner. He is cooking. He will be so happy to make my favoured dishes. Thank you very much for great giveaway. I’d make a big veggie casserole. A vegetable soup, lots of different vegetables to try the knives on! It would be a risotto with plenty of chopped veg!!!! I would make a spicy vegetable and tofu stir fry so lots of chopping with these knives. Something with a lot of chopping, like a casserole. I would use the new knife set to make a stir fry. What a great design! I’m in desperate need of new knives, I just had to throw all my body weight behind my knives just trying to cut up potato wedges. A beef and vegetable stir fry! We have a recipe for a hearty cauliflower dahl stuck on the kitchen cabinets waiting to be tried out so that would make a great start. This will be lovely for cooking for dinner for my Daughter’s first Christmas! Beautiful design! I’d cook a stir fry! Chopping all those veggies with these knives would be a dream! A good old Sunday roast! Homemade Sweet cucumber pickle….lot of cucumber and onion to chop…what a difference great knives would make. The first thing I would have a go at cooking would be a curry. Spaghetti and meatballs I think! I would love to win and use my new knives to make a homemade beef stew with dumplings! I’d enjoy having a knife that can cut through tomato skins, so salad. I’d make my favourite hearty vegetable soup, chopping onions, carrots, leeks, potatoes, and garlic, I would then make a quorn stir fry with my favourite yellow and red peppers, bean sprouts and a soy and garlic sauce. Thanks for the chance to win this fabulous knife set, which would make cooking a joy, and my kitchen look more professional. It would be a full roast dinner. I’d start of with my favourite dish and make a homemade chinese chicken curry. I need to update my knives! I’d like to cook a nice root veggie stew – sweet potatoes and butternut squash. 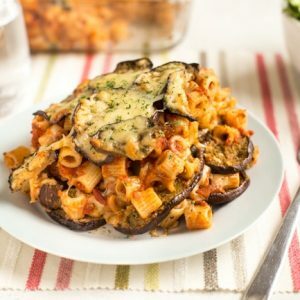 Lots of hearty vegetarian bakes! Well, to give them a real try out, I would have to make a 3 course meal. Main: Mint and garlic roasted Lamb, roast potatoes, veggies and gravy. Dessert: Chocolate Torte with fresh raspberries and cream. I’d cook a nice steak with mushrooms and chunky chips. My daughter Jolene has just found her forte. And is about to train as a Chef. She has applied and applied and finally she has got this job in a huge Kitchen. She is the first and only girl to work there. I hope she wins these knives. it will give her the confidence that she needs. I would have to cook a simple minestrone soup mmmm. Use my knives for chopping onions, carrots, tomatoes, courgette, clove of garlic…. Mmm my taste buds are tingling! I’d need to give them a decent workout, so maybe a big hearty casserole. Possibly lamb, which my knives can struggle with due to the fat, with lots of veg, served with sweet potato mash. Yum! Very much depends on what veg I had to hand, but at this time of year, it’s likely to be a spicy veg curry. A big beef stew, chokka full of tasty meat and veggies. I’d chop up veg for a good stir fry! I’d cook a Thai green curry. I’ve just discovered the local market. The veg is amazing. The leeks are huge! I’d chop into one of those bad boys with one of these knives. I would make something with butternut squash in because the kitchen knives I have are too blunt to cut it properly! Having just served myself a cheese and ham toastie garnished with the end of my finger I think I might retry the recipe with the hope that with decent knives I won’t have to push down quite so hard to chop them into two, thus not slipping and not spraying everything with blood. I’d make some vegetable soup :) need a good set of knives for all that root veg! Baked sea bass with lemon caper dressing….YUMMY! I’d do a stir fry as I’d have a lot of vegetables to chop! 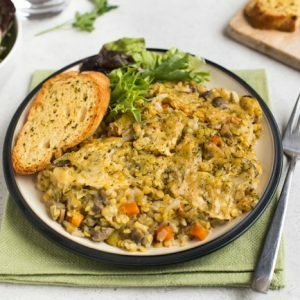 I’d gift these to my amazing partner, who loves cooking amazing the vegetarian recipes from this blog! Anything and everything! I’d start off with Christmas dinner, of course! Leave a comment below and let me know what you’d cook first using your new knives! It’s been about 5 years that I’ve been telling myself the temporary knives we bought should get replaced.. I so need these in my life! I did a knife skills course earlier in the year and have been looking for some better knives since then! My nephew has just started eating proper solid meals, so I’d probably make him ratatouille or a similar warming heathy meal! I’ve got my eye on making a delicious veggie en croute after seeing your recipe, my Dad is a vegetarian and this is such a great idea for his Christmas dinner. It would be even better if I had some fab knives to help cut up all the vegetables, thank you for the fab chance, Becca! Coleslaw with cold cuts, or stew with root vegetables. Lots of things to chop and slice there. I enjoy making chilli con carnes. So I would use these knives for cutting up onions and peppers first. I would make a spicy vegetable biryani! I would cook your vegetable en croûte that you’ve recently posted about – sounds delicious! I would make something that involves lots of slicing and dicing…maybe chicken fajitas with homemade salsa and guacamole. I would bone the turkey, stuff with delicious tasty stuffing and roll and tie. Easier to roast and definitely easier to carve. Visually beautiful as well as functional! What a Christmas treat! Wow I would be so over the moon to win these no more blunt knives for me!!! We have grown loads of pumpkins this year and they can be very difficult to cut open, I have to get my husband to start it off for me, I would like to do it myself and I am sure I could with these wonderful knives. These look like they’ll last a lifetime ! I’d make a massive stir fry so that I could chop loads of veg! I would make a nice curry. I have had my knives so long, they are so blunt, I don’t know what sharp is anymore! Oooooh some lovely mexican dishes! Probably a soy and ginger stir fry with oodles of veggies to be chopped. 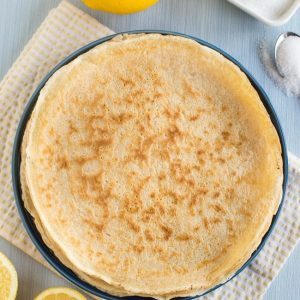 Loving these recipes especially the slow cooker ones, so easy and so tasty! Would love to win the knife set, so stylish. Wow, gorgeous. I’d start with stir-fries, salads, and all things that give me an excuse to chop veggies. I think I would choose something that needed a lot of chopping. One of my favourite dishes is a Spanish chicken dish, with beans and chorizo. I would need to joint the chicken and finely chop onions, peppers and garlic and thinly slice some hard chorizo. These knives would be perfect! I would make a coleslaw, to test out the knives. I would make a chicken tikka masala with them. I’d make a batch of homemade soups to test each one out. They look fabulous! This is a seriously classy set of kitchen utensils. Fab! I often struggle with awkward and thick skinned fruit and vegetables such as pumpkins, some melons and corn on the cob so would use the knives on those first. I would make a lovely vegetable stew! These knives are incredible. I’d use them daily for all my batch cooking. Vegetable soups will be my fav the next few weeks. I would use them to chop up veg for curries etc. My old knives date from 1980! I would prepare everything for a full Roast dinner, lovely set! I would cook a sausage casserole, just perfect for these cold winter nights. I would make a seafood ramen! I’m expecting in just under 4 weeks so I’d batch cook a load of soups and meals. I absolutely love those knives and I’d love to be your lucky winner! I would choose a chinese stir fry with lots of different vegatables so I could try out a few knives. Definitely a bolognase as I imagine chopping all the ingredients will be so easy with these knives! Probably make a chilli as there’s lots of chopping and slicing to do! A nice warming casserole and an apple pie for dessert. I would make a full roast dinner and all the trimmings. Lamb shoulder, roast potatoes, cabbage, carrots peas, ,stuffing and a red-current sauce (made from scratch). Ooh, and a gravy. Considering I cannot slice anything properly at the moment because our knives are awful, I would be trying them out on everything but as it is autumn I’d start by making a smooth warming pumpkin soup! I would make a roast chicken with winter roasted vegetables, lots of opportunity to test the knives out. This wonderful set of knives would go straight into use, I have to do lots of cooking from scratch due to lactose intolerance. First on the list would probably be lots of veg for homemade soup, and of course they would make all the Christmas food prep a breeze. Thanks for the chance to win this fantastic prize. Root vegetable curry, lots of chopping involved ! I’ve never had a set of knives, I have an odd assortment in my cutlery drawer! It would be a luxury to have a SET! And to be displayed so beautifully! Great competition thanks for the chance to win such a fabulous prize. I think the first thing I would use the knives for is cooking the Christmas turkey. i needed these knifes today, I had spiralized courgette , onion, tomatos, garlic, oregon and cream cheese. lots of chopping! something that needs a lot of chopping I would be so excited to use these. I would probably make a roast so they get a good work out on the meat and veggies! They would be perfect for all the prep of Christmas dinner! I’d make a vegetable moussaka. A Bolognese – it would be a pleasure to chop the ingredients. I’d use them for my Christmas meal! Thanks for the competition. I’d cook a nice a veggie spaghetti bolognese. I’d make a salad with lots of finely cut salad vegetables. I’d definitely have to make the Christmas dinner with them – wow!! Something that required a lot of chopping! I’m thinking a curry or a stew…yum! A thai chicken curry with plenty of veg to use the knives! I would make a chicken stir fry because it’s a family favourite meal but would be so much easier to make with sharp knives to slice! I would make a stir fry with lots of veg! I would make a stir fry with lots of veg. I would use them to make our Christmas dinner. Very elegant – a fabulous giveaway. I would make mushroom stroganoff with a side of green beans. I’d cook my favourite Nepali vegetable curry. It’s real comfort food, great with rice or naan bread, chutneys and yoghurt. A vegetarian meal for myself and my daughter – lots of vegetables to cut with my new knives! I adore cooking and would first make a wonderful winter veg soup and chop every vegetable with delight to use a proper set of knives for the first time in my life. With so many wonderful knives it’d be a great excuse to get all the family working in the kitchen – some peeling, some paring, some chopping and some carving – all while I supervise and enjoy a glass of wine! A big chopped salad with cold cuts. Should make full use of this great prize. I would defo cook (or attempt to cook) a veggie katsu curry! I would do a nice beef stew with chunky veg. I would make a chicken and vegetable curry. Lots of slicing and chopping required! I’d love to win this! I think I’d make a clean-the-fridge soup, as my soup-maker needs its veg chopped small…. New knives mean you HAVE to do the over-ripe tomato test so you can indulge in how sharp they are! Then it would be rude not to make a bolognese! My poor knives have seen better days and I’d love a new set to see me through another 10+ years of cooking. They look amazing and the block is so stylish. Wow, what an amazing knife set! I’d make our annual New Years dinner with these first! I’d make light work of a rainbow stir-fry, with fancy ingredients like shiitake mushrooms, rainbow carrots, purple sprouting broccoli and Japanese cabbage! Got to enjoy all these beautiful ingredients! The knife block looks amazing! I would be scared to touch it. Looks a lovely knife set! Would be nice to have a brand new set! Would look well in the modern kitchen. You can’t beat a sharp knife. It would have to be a tomato that got the first chop just to try them out! Such a beautiful knife set! I would make a big tray of roasted veg with salmon and sun dried tomatoes. My husband is the cook in our family I would give this knife block to him and he could use it to prepare lovely meals for me. I’d probably cook fajitas or something! Nothing in my kitchen is new, everything we’ve had for at least 10 years and is falling apart! Our knives are all useless, I’d love some knives that actually cut rather than squish!!! Wow these look amazing! I’m about to move into my new flat and need to BUY everything! Like a dragon’s egg but practical – beautiful! What an awesome piece of kitchen equipment that everyone would love to own and display. Fabulous for preparing Christmas dinner but would use every day to make chopping and slicing more simple. Omg these look so great!! Ooh I always say cutting up butternut squash is the worst thing about being a vegetarian so that would definitely be the first thing I’d cut! I really need good knives to peel and cut up butter nut squash for warming soups and roasted in oven for low fat chips. I’d cook a delicious veggie stir fry using those fantastic knives to cut the vegetables and to chop up lots of garlic and fresh ginger to flavour it. Mmmm! I’d cook my new-found favourite recipes of Pad Thai and spicy papaya salad! Mmmmmm and sharp knives required! i would definitely cook something with roasted butternut squash!. It can be hard to cut through the squash skin unless it’s cooked slightly first. Eek, something with lots of chopping involved! Perhaps a nice chopped salad with some chillies and a herb dressing – that should test the knives well! I would cook a lovely beef stew with loads of veg. The first thing I’d attack with these bad boys is a tarragon and lemon roasted vegetable dish. Lots of herbs, and veggies, and a butternut squash to really put them through paces! I would make a HUGE stir fry so I had ample opportunity to test these out, I would cut ALL the veggies I had! I love the egg look, so cool! Great for cutting bread, cakes and choppI got vegetables, I am thinking a ratatouille would be my first recipes I’d use these knives on! I wish I lived in the UK for a chance at these very nice knives! The egg shaped knife set looks amazing. Love the design. The first thing I would cook using those GORGEOUS knives would be a veggie cooked breakfast. Best start to the day!! Not matter if it is winter, I’d make a variety of salads with thinly sliced vegetables. My knives are a nightmare despite my best endeavours to keep them sharp. This gorgeous knife block will look fabulous in my hopefully soon to be refurbished kitchen. Ooooo! Well your cheesy lentil burgers are a standby Friday night dinner in this house, and with no blender they require a lot of fine chopping of mushrooms, peppers etc, so we’d make our Fridays easier! This is a much better giveaway than the ones you normally see as it’s stylish AND super useful! I would do a roast chicken dinner with all the trimmings as a celebration for winning these! I would definitely use the knives for another one of your fantastic recipes. I’ve only made 6 so far so there are plenty more to choose from. Lovely knives, I think I would give them a good test out on a lot of vegetables for a warming veggie soup for a cold day! Wow what a beautiful piece of kitchen sculpture. But I would still want to use it. I am learning to make those avocado roses but they need a really sharp knife, that would be my first use. These are fantastic! I would chop up my veggies for an epic stir fry! I’d chop so many veggies with these bad boys! This is exactly what I need in my lift, the nightmare of blunt student knives hasn’t quite passed. Oooh, shiny! I’d be making Christmas dinner with these for sure!